The opportunity to see and fully enjoy live theatre should be something that is open to everybody, and recently the subject of theatre accessibility has become more and more important. 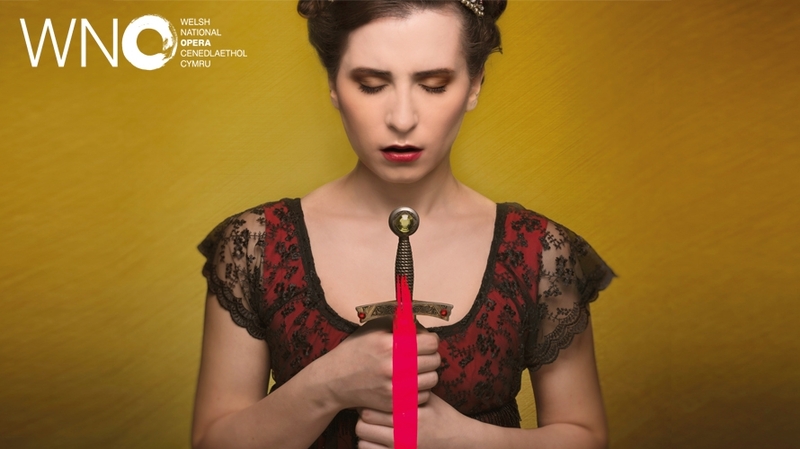 With relaxed and audio described performances become more regular and popular, we were invited to Theatre Royal Plymouth to be introduced to the idea of touch tours and audio description with a backstage tour of Welsh National Opera’s production of ‘Tosca’. ‘Tosca’ is a heart breaking tale, telling the tragic story of Tosca and her love Cavaradossi. It is a story of love, rebellion, and murder. Touch tours are becoming more popular, giving the visually impaired a chance to be taken backstage and talked through the production. We were told about how people are encouraged to touch the set and the props to get an idea of the scale and the shape of everything, which could help them to visualise the performance. With this production of ‘Tosca’, the set is on such a huge scale and there are many large props. This works well for a touch tour, because there is a lot for those with visual impairments to be able to handle and experience. Touch tours are often done before an audio described performance, allowing the participating audience members to become more familiar with the set and the props before the performance. The way in which an audio described performance works is simple yet highly effective. The audience members are given a discreet headset to listen to an audio describer through. The speaker is live for that performance, describing the action. With ‘Tosca’, the audio describer has to describe everything that is going on through the instrumentals, particularly in act 2, where there is a large portion of very important action which no vocals. Below is an example of the description that takes place in act 2. The description is always done live because even the same show is never exactly the same in every performance. This description is by Margaret Spittles from Sightlines Audio Description Services for ‘Tosca’. All of this action happens without dialogue, so the accompanying audio description is very important for the visually impaired in the audience to be able to fully understand what is happening in the story. Audio description is just one way of making theatre more accessible for everyone, but it is becoming more popular. Often, there is one described performance at every venue and these are decided in advance so that they can be clearly advertised. Relaxed performances are also becoming more common. These performances see the shows changed in subtle ways, for example strobe lighting being removed, to enable more people to be able to enjoy it. Theatre should be for everyone, and I fully support everything that can be done to allow theatre to be open for everybody to enjoy. The experience of live theatre is something very special and everyone, no matter what, should be given the chance to enjoy it. It is good to see these audio described events taking place at the Theatre Royal Plymouth, and it is great to see them becoming more and more common. If you would like to know more about audio described performances, contact the theatre or search Slightlines Audio Description Services online for further information.